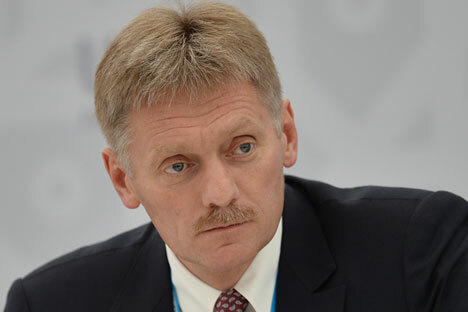 Dmitry Peskov: "This is very good news." The Kremlin believes it is good news the Russian ambassador was invited to the Dutch Foreign Ministry for explanations over criticism of the flight MH17 disaster investigation. "This is very good news," presidential spokesman Dmitry Peskov told journalists, adding that he learned about that from media reports. "The head of our diplomatic mission in the Netherlands will present all considerations concerning our position," Peskov said. "A dialog is always good." First, the Dutch Safety Board looked into the circumstances of the disaster over Ukraine. And this week the Joint Investigation Team presented the first results of the criminal investigation. The JIT consists of Australian, Belgian, Malaysian, Dutch and Ukrainian officials. They claimed they had gathered irrefutable evidence Flight MH17 had been downed by a Buk missile launched on July 17, 2014 from an area controlled by militias opposed to Kiev. The missile, they said, had come from Russia. It is noteworthy, though, that the JIT chief acknowledged all data provided by Russia had been ignored. Meanwhile, Russia’s arms manufacturer Almaz-Antey back a year ago provided its own findings, confirmed by real life experiments. In particular, the concern’s specialists said the ill-fortunate Boeing-777 had been destroyed by a Buk missile, but the missile was launched not from the area mentioned by the Dutch Safety Board, but from the village of Zaroshchanskoye, which on the day of the disaster was in the hands of the Ukrainian military.